In my mind, no other citrus packs the punch that a Mexican lime does. 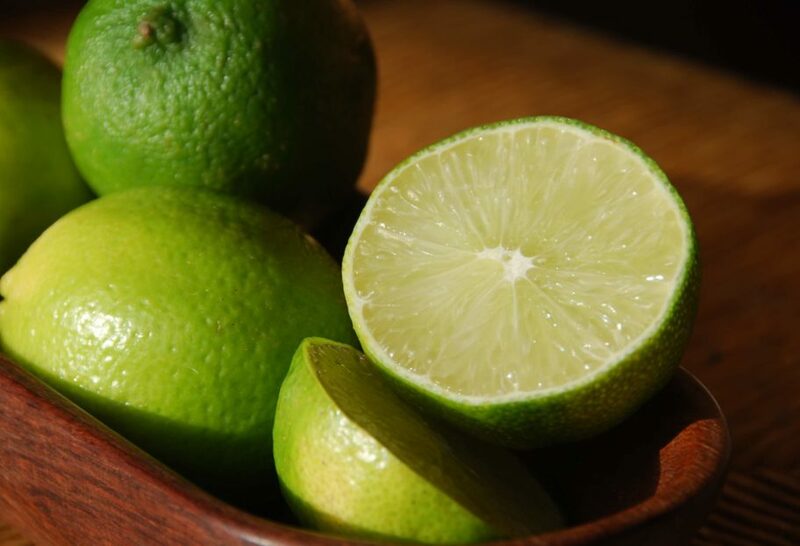 Called limón in Spanish, it is also known as true lime, West Indian Lime, or sometimes key lime. While on the smaller side regarding size and thin skin, this round and light green colored lime is extremely plump and juicy. As it ripens, it becomes softer, even more plump and its skin color turns lighter and yellow-y. Much more acidic than other limes and of course more than a lemon. It has a fresh, clean and lovely citrusy aroma. There are other varieties of limes. The large fruited Bearss or Persian lime is what is more commonly seen in the grocery stores in the US. It is thicker skinned, shaped more like a lemon, a hybrid of a true lime and citron (the father of the lemon) and tends to be less juicy. But given increasing demand, true limes are appearing more and more. Dear Pati I got some lemons and I was really surprised that they were sweet very very good. I’m so glad I found them. Do you have any resceips.